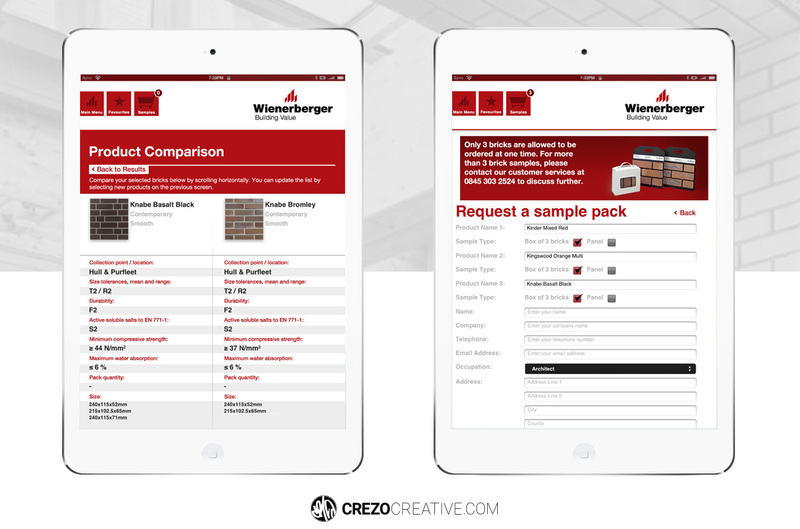 Designed and developed for the world’s largest brick manufacturer, the new Brick Selector app is an interactive tool to help architects and developers find the right product for their project. 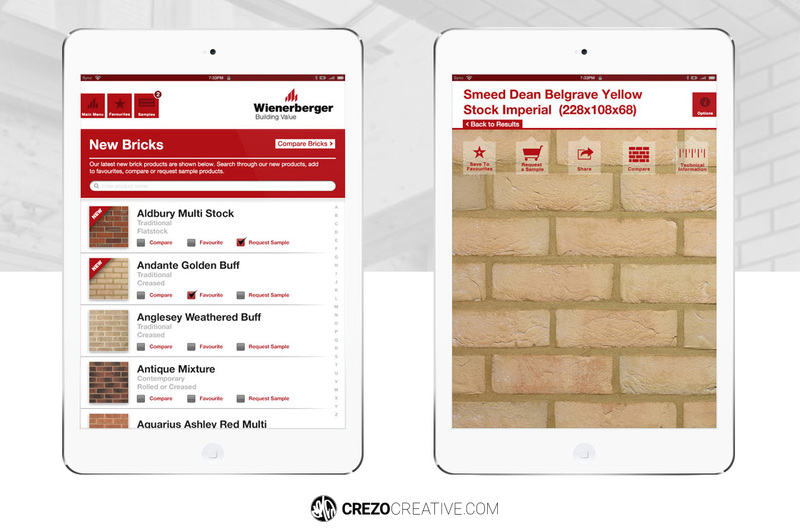 Produced by Sync Interactive, I worked closely with the client to focus on their key aims and objectives to produce a market leading application. Working on specs, wireframes, UX and then the final app UI. 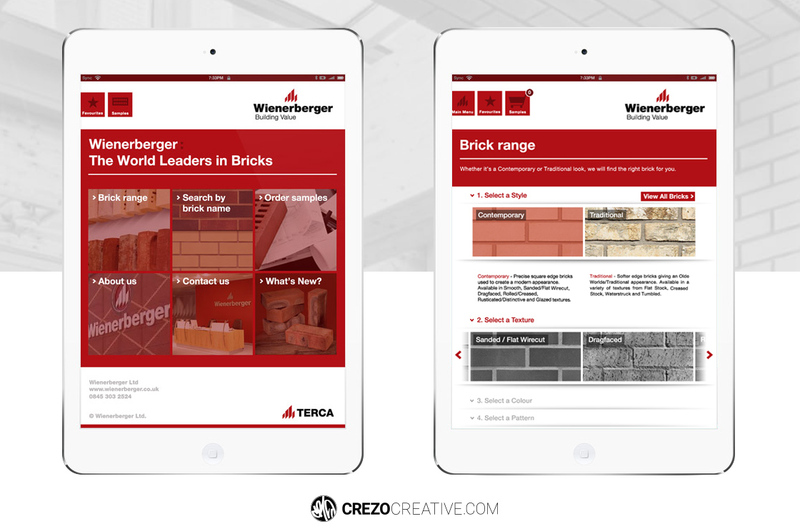 The app was then developed and launched on iOS and Android tablets and phones by the developers at Sync Interactive. Winner of the 2012 Effective Mobile Marketing Award in the Business to Business category. ©2017 CREZO Creative. All rights reserved.